Back in January (which genuinely feels like a lifetime ago now) I launched my new branding and business name, Violet Paper Studio, from former name Vicky Perry Wedding Stationery. At the time this business and journey had grown and matured so much that is was time to give it the new lease of life it deserved. Detaching my own name from the brand allowed me to see it from a different perspective and it took away all personal connotations which at the time was holding me back from making certain decisions. I really loved the whole rebranding process from choosing my name to designing the new logo and branding materials. I had the intention of creating a blog post around the rebranding process and how I went about it but time just slipped away as it does, so here is a little insight into the name making decisions and the very sketch that turned into my logo. I started the process with researching to really define my brief and my outcomes for what I wanted this new branding to be. The books How to Style your Brand & Brand Brilliance both by Fiona Humberstone were my bibles and I loved using these as my tools to create my brief. I went through every stage from establishing my customer architects to brand colours and visuals. This led to a whole stack of papers and scribbled notes and I really felt like I had put down every thought possible. Which was so important when I needed this new brand to really stand the test of time. 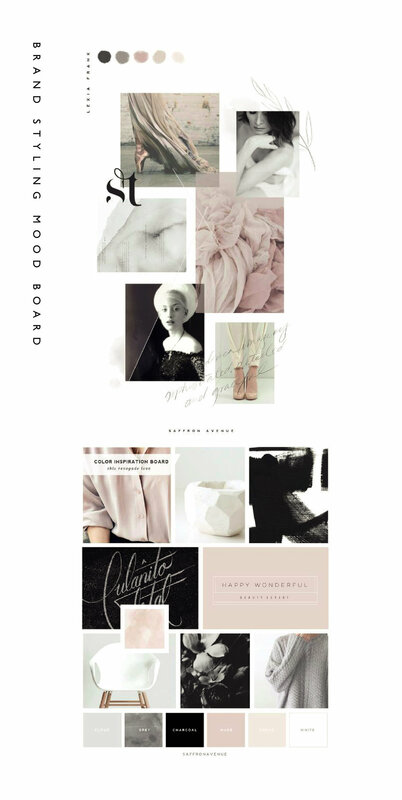 Once I was happy with my notes I created more of a digital mind map to start the journey of putting together visuals and mood boards. After sketching on screen I decided to opt for a more hand drawn feel to reflect the creative nature of my products, see below for the original sketch! After a lot of tinkering and adjusting I had my finished logo and brand elements and I was so pleased with the results. I launched the new branding on January 7th and its been doing me well so far! In March I packed up all my things and trekked through the awful snow to the Truman Brewery in London for a weekend exhibiting at Most Curious Wedding Fair. I know I have banged on about it enough but it really was a real highlight for me to be in amongst so many amazing suppliers and the couples that I met there have been some of my best clients to date. I wrote a full post about my experience previously so if you scroll down a little further you can have a read all about it. One of my goals for the year is to release a new template design, at best a couple. This for me is where I get to really design something that is 100% me and allow future couples to see my style. This year I released two templates, Olive & Botanic, and now Botanic has over taken Vintage Floral to be the most popular. These two templates have seen a big variety in terms of the couples who purchase them and how they decide to adapt them to suit their own needs. Colours, fonts and sizing have been adapted and I personally love it when a couples can create their own look using a template design. In my opinion this is one of the factors for a successful design. Eeek! Possibly one of the most exciting points in this list is in April I took a giant leap of faith and decided it was time to quit my design day job and really try to make a go at this little business. Now it’s December and I can whole heartedly say I am SO proud of myself for taking that leap. It has definitely not been easy, really bloody hard in places but the most important thing to remember is that I am doing things my own way and making my own money from something that started as a hobby, and that is something that nobody can take away from me. I didn’t quite realise how miserable my day job made me, having to design for people and companies that I didn’t care for and that they didn’t care for me, the designs I was creating were purely transactional, and it now brings me so much joy to say that I honestly love creating each and every design for my clients. If you can see a better future for yourself just bloody go ahead and do it, time is so precious! Receiving that news of being a regional finalist was major for me, it was a real moment of acceptance within this incredible industry of professionals, I was on parr with some of the best. And despite attending the ceremony and not coming home a winner there was no way I could not include it in this list because of the great things that it did for me. And heres to the awards next year, because you never know right! Another goal of mine for this year was to get involved with a styled shoot as I hadn’t done one before and I could see the real potential it had in terms of advertising my designs and services. 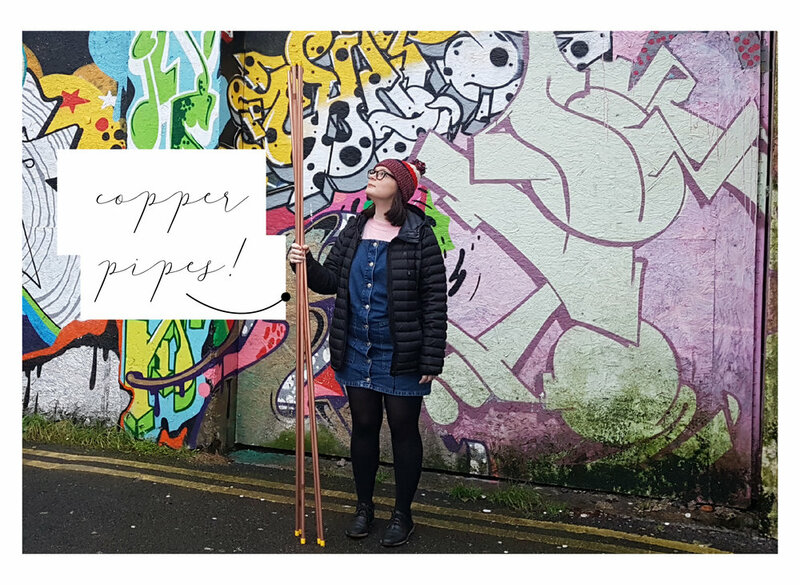 I got in touch with the lovely Helen from Margots Wedding to see if I could be a part of her Nordic inspired shoot she was creating for a new feature in her magazine. After happily accepting I felt my Botanic range was perfect for this and I also created some acrylic place name cards with wax seals and foliage to go with the designs. I absolutely loved seeing the final images when they came through and below is just a few, I won’t share too much as the full shoot will be featuring in their special January issue which will be in print on the shelf for the first time! I can’t wait to get my copy. As a nice way to round off I thought I would share some of my favourite bespoke designs from this year. I have had a real mixture of briefs for a range of completely different weddings and that is one of the best things for me, to be able to offer multiple styles to suit any theme. I feel so lucky to have such a range to choose from and every single client has truly been a dream to work with, I can’t thank you all enough. They say that being an expert in any field allows you to be able to predict the future within your market when it comes to the next big thing. And although it would be very un-British of me to call myself an expert, I have designed a fair amount of invitations now to know what to expect over the next year in terms of design. I thought I would share with you my own top five picks for wedding stationery trends in 2019 for those of you who are currently planning your wedding and pinning all those inspirational imagery for your future stationery. So grab a tea and lets jump to it! We have already seen these colours and tones being introduced into stationery designs towards the end of this year and they are going to feature more heavily in 2019. Beautiful Moroccan terracottas, rich Earthy tones and bright bursts of blues and oranges. This was also enhanced when Pantone released their colour of the year for 2019 with it being Living Coral, a shade that goes so beautifully with this palette. I already can’t wait to start designing with these dreamy colours. The way in which we present our invitations to our guests is essentially the same, printed cards that can either come as stand alone pieces or as part of a set. And one way to make your invitation suite more beautiful in 2019 is to layer up your pieces. Whether your stationery will be stacked in height order, placed over edges and folds, or wrapped in multiple layers of soft hand torn stocks, this way of packaging your items will be big in the coming year. It looks elegant and effortless and is always nice for your guests to hold when they open your invitations. When we have multiple layers of cards and paper stocks it would make sense to have something to house and hold these items together, and the bar for this is being raised in 2019 for fastenings. I will predict to see eyelets that progress from simple copper circles to bigger and more dramatic brass fastenings that are holding layered items together. Simple stationery items such as crocodile clips will be made more elegant and used on wedding stationery items for a much more modern and dramatic look. We all know that hand lettering has been big for a while and is certainly not a new trend to be introduced into 2019, but the smooth cursive style that we are used to seeing will be matched with a much more rough and ready style (can I get a hallelujah for all those lettering designers like me who struggle with getting everything so perfectly smooth!) My thoughts on the reasons for this could be down to the popularity with tools such as ProCreate allowing us to really create lettering that is much more natural and realistic to the everyday script. Illustration has been hot for a very long time, and rightly so because its all just so bloody beautiful. And although it will continue to be popular for a long time to come I also predict photographic imagery to make a big statement in stationery designs in 2019 too. I personally love it and used varieties of photographs on my own wedding invitations to create a really beautiful collage style design. We can expect to see images of flowers, fruits and foliages to name a few. These are simply my thoughts on where I believe some of the design trends may lead us in 2019 and of course predictions aren’t necessarily always right. And really what it comes down to for me is creating something that is truly beautiful and answers a clients brief, rather than trying to follow a certain style or trend. But just seeing some of these images that I have put together is making me VERY excited for the year ahead and I simply cannot wait to get creating some new template designs along the lines of these themes. Sooo what do we all think!? Which is your favourite? Let me know! 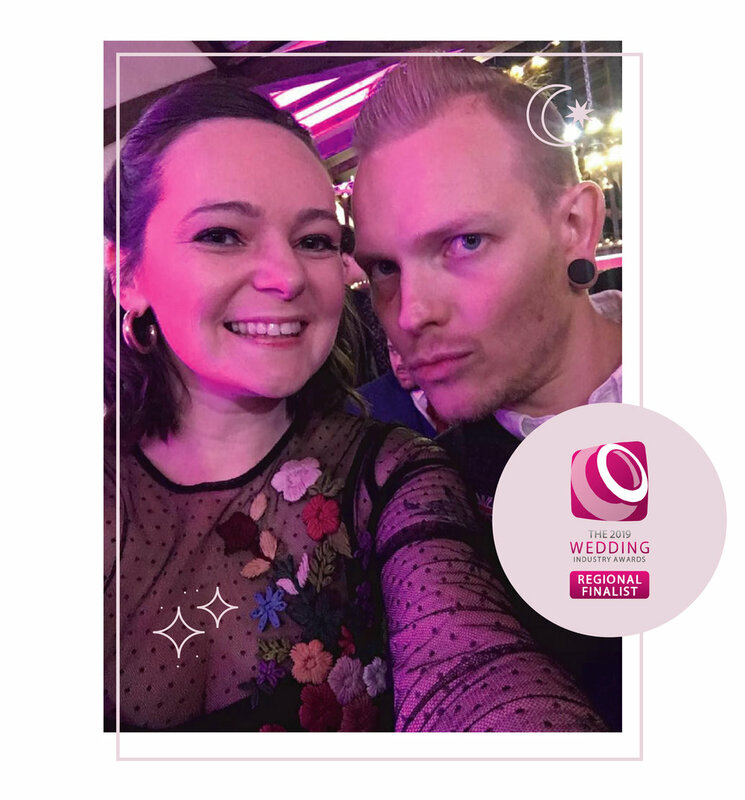 On Tuesday night I braved the cold weather and took a trip up to Blackstock Country Estate for the South East regional finals in the Wedding Industry Awards. Sadly I was not to come home a winner, but I wanted to just say thank you to my amazing clients who voted for me, because just being a regional finalist really did mean a whole heap. I haven’t been doing this little job full time for very long, and there is still SO much for me to learn, and going through the experience of entering the awards has taught me to stop doubting myself and that great things really can come if you believe in yourself. (Jeeze I did not intend for this post to be a giant cheese ball) But it was such a fab night and I took the opportunity to raise a glass to my lovely clients from the past year and celebrated our hard work little projects together. I’m super happy and thrilled to return to Most Curious Wedding Fair next March at the Truman Brewery in Brick Lane London, I genuinely had the BEST time there this year and I know next year is going to be even more incredible, with next years theme being The Artsy, the Arid and the Abstract.' I mean, just look how beautiful the campaign images are! A beautiful terracotta colour palette which I LOVE along with Mediterranean and Moroccan inspired trends. There is a great write up on Love My Dress which you can read here for a much better detailed explanation of the theme this year. 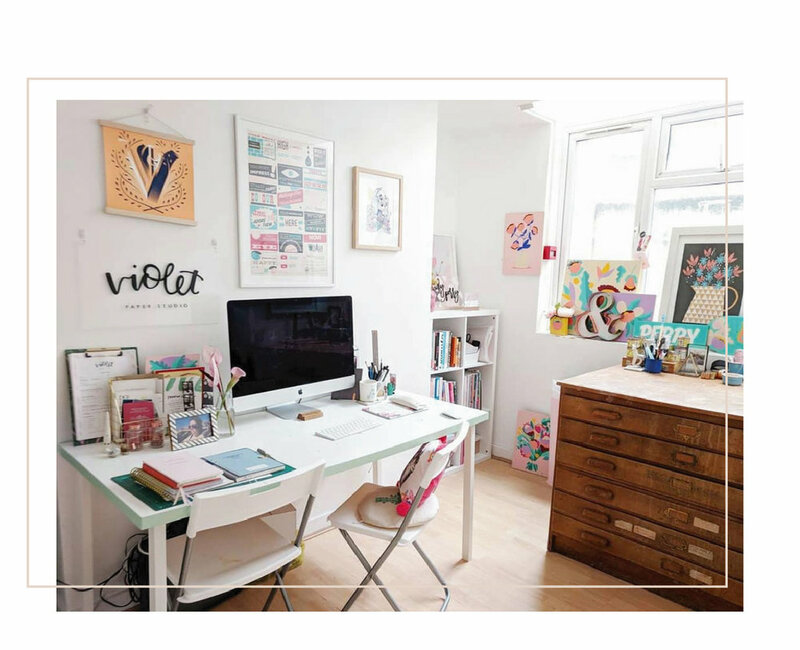 I simply CANNOT WAIT to get in that room again and chat beautiful stationery with all the best couples around. I now just need to think of a new stand design! 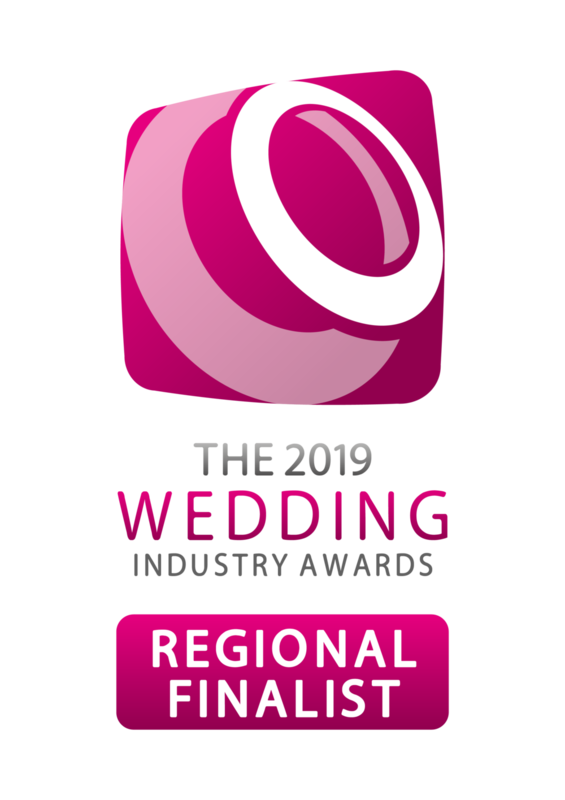 Last week I received the wonderful news that I am a regional finalist in the Wedding Industry Awards!! Having written on my previous post my excitement about entering and how wonderful it would be to be nominated I was really quite overwhelmed with the news! It really did feel incredible to know that my clients are 100% behind me and really loved the service they received from me so much that they took the time to vote. When you work by yourself it can be really hard to gage just how well things are going (or not going!) so this nomination really is a testament to my hard work over the last year and that just feels amazing! Obviously on the night of the awards I will be keeping everything crossed, but this nomination in itself is something to celebrate on the night, and I’m going to take this opportunity to raise a glass to my amazing clients from the last year and celebrate either way the award goes. Thank you SO much to my lovely clients for your votes and your trust in me, your lovely designs and projects are what makes me feel so lucky to call this my job. SO. Once again it has been a wee while since I’ve checked into the blog. I’ve had a successful Summer and as far as things go I’m enjoying the Summer Wedding season a lot this year. I quit my day job back in May (!) and I can now call this little business of mine my full time job. What a joy. And the main reason for me checking in is to tell the World that I am taking a giant leap of faith and entering Violet Paper Studio into the National Wedding Industry Awards! 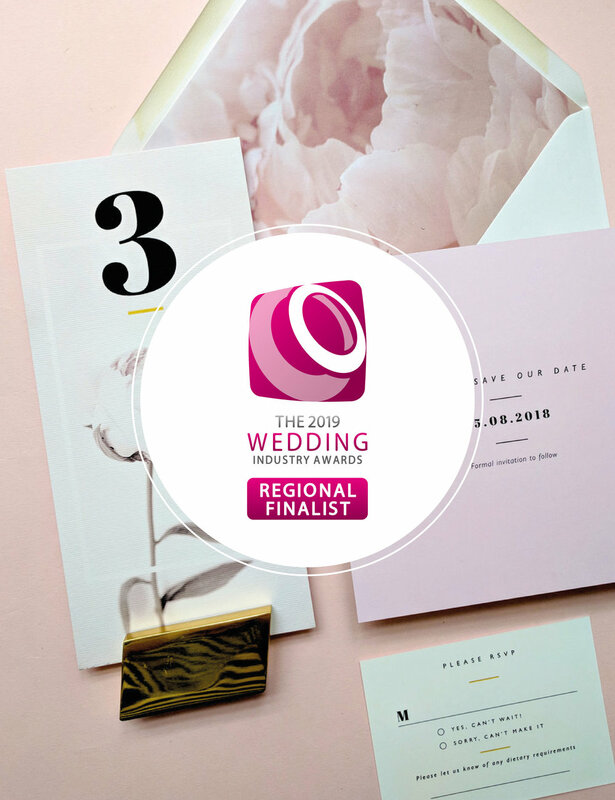 Well, it’s an award ceremony dedicated to congratulating suppliers within the wedding industry where entrants are judged by a panel of experts. And what drew me most towards entering this year was discovering that votes are made by my own real clients from this year. I felt this was a great way for me to get a really good understanding of just how well I was performing this year (or even how bad!) My clients vote on a scoring system based on multiple questions and what a great way for me and also them to evaluate the success of our projects together. Because I believe my clients also put a lot of effort and hard work into their stationery when it comes to their preparation, time management and communication. They deserve to see how well things have gone too! The one thing that can make entering seem a little awkward and very un-British is that I need to enter and put forward myself in order to be in with a chance of actually being nominated. Now, this is the scary part because I am essentially putting myself out there and saying to my clients and my nearest and dearest, and essentially the whole World, that I believe I deserve to be noted for this award. And who even says that about themselves or their business, that they believe to be good, or worthy of such a prestigious title. But I figured if I didn’t believe in myself and what I was creating with this business, then nobody else was going to believe in me for me. SO! I decided to just bloody go for it, and after speaking to a few clients about their thoughts they were more than behind me which gave me so much confidence that this could be something truly exciting. After all I have worked super hard this year so it’s time to celebrate it. If you are a client of mine and I worked on your stationery between 24-10-17 & 09-10-18 then yes you can! Below is my unique voter link which will take you directly to my voting page. I can’t thank those clients enough who have taken the time to vote already, it means SO much to know that my business was worth a vote and that you believe in me too. A good question to kick things off, why did I exhibit at MCWF and what makes this one so special from all of the rest? Before MCWF I had exhibited at a few number of fairs all running under different promotional companies. Some of these wedding fairs were good, some of these were bad. But neither were really good (or even really bad) Just good. A good amount of attendees, a good amount of quality stall holders and a good amount of leads for me to take away. But what I was really lusting over was an event that just delivered that little bit more. Exhibiting is a no mean feat, it takes a lot of preparation and can be very costly, so after completing a few fairs it became really important to me to spend my hard earned marketing budget and time on the ones that would really make a difference. When you are exhibiting at a fair it is up to you to make sure that having your business and brand represented at this event will work well for you. There have been numbers of promotional event companies contacting suppliers asking them to buy a stall at their next fair and I’m quite confident in saying no to those ones that just don’t represent my clients and how my own business wants to be perceived. I’ve turned down stalls at some really popular events that boast 5,000 attendees simply because the events branding and projected image of the wedding industry isn’t something that I’m either interested or invested in. It is important to know your clients well, and to know where to find your targeted customers. 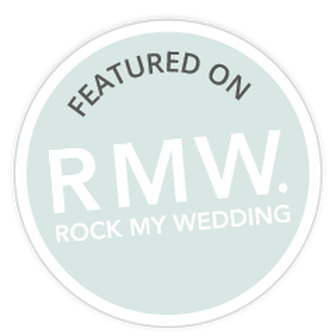 With my designs being modern, bold and creative I knew when I read MCWF’s strapline of ‘The wedding fair for the style savvy couple’ that it was the one for me! Their branding, imagery, website, tone of voice and take on the wedding industry aligned with my own values and beliefs and this is one of the most important aspects to consider when thinking of who to exhibit with. The reputation of MCWF was also something that was hard to ignore, I knew that by having an association with their brand it would only do great things for my brand too. And also just because it looked like a whole heap of fun! So many incredible vendors that are all so inspiring in their own right, it really did look and feel unlike any other wedding fair I had seen. When I submitted that application form I had already told myself that I hadn't got accepted. 'There is no way your branding is up to the standard', 'you know you can't do this but well done for trying anyway' and 'your work is not good enough'. These were the thoughts that I was placing into my head to make the rejection a lot easier to deal with when it came around. But there was that one small part of me that thought 'just maybe you will get accepted!' (and what the hell would I do then?!) So of course when the congratulatory email landed in my inbox with the subject heading of WELL HELLO THERE MOST CURIOUS EXHIBITOR 2018 I honestly nearly had a heart attack and cried with happiness at the same time. I could not believe it. It really was one of those moments that I just felt all of my hard work was paying off in ways I had only ever dreamed about. I mean if the team behind MCWF liked my work and believed it was going to suit the attendees at the show then that is all I have ever worked for and wanted. It was definitely a huge milestone not only for my business, but for me as a business owner to know that I was enough and that I was exactly where I wanted and needed to be. After I had finally calmed down from the excitement of being accepted, I had that moment of panic 'oh crap how am I actually going to do this!' so a lot of planning took place to ensure I was ready and prepared in good time. I had 6 months until the big weekend but I wanted to have everything ready and completed a month before. Having wrote down a list of things to do/make and a rough idea of how I wanted my stand to look it was just a case of ticking things off the list in order next to the completion date I needed to do them by. 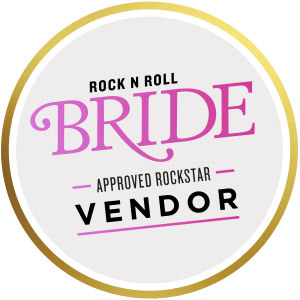 This was actually something that I did feel confident and prepared for having the experience of a few wedding fairs under my belt, I knew what I would need but what I didn't know was the standard that my stand needed to be at in order to look the part. So I decided to just go for it, make it the best and most creative stand I could, because at least then I knew I would have done everything that I could of with no regrets. One part of my stand design that I knew I really wanted was a back drop. Having experienced first hand the problems with having lots of things going on behind you at wedding fairs it can be really hard to create your own brand space at an event when your back to back with other suppliers. I've had it a few times before where there was no real clear definition between my stand and the exhibitor behind me. So I knew a backdrop would help create my own space as well as just looking really lovely! with these types of frames becoming really popular at Weddings for bespoke alters I knew this style would work well at MCWF. I had seen some really lovely paper streamers at Peach Blossom party shop in Brighton which matched my brand colours perfectly that I could use as the hangings for the back drop. So I had my vision in sight and all that needed doing next was to actually build it! So I have to be honest here, a lot of the build work was completed by my partner who has always been more than happy to help me at these events (I really am too lucky to have him) I would show my sketches to him and try to explain the thoughts in my head to see if they made sense, and also if he knew how we could build it. Probably the easiest part of the construction was the copper frame. I had sourced a couple of local companies who had made copper frames for various reasons (mainly for clothes rails) but to be honest I was quite put off by the price! I knew copper was a relatively cheap material so I decided first to try and build one ourselves before spending a fortune on having one made. And I am so pleased we did because it was so easy! We took a trip to Homebase on a rainy Saturday and bought all the materials we needed, the copper pipes, the copper cutter (a very important tool) and super glue. We took along my sketch and the measurements we created to make sure we bought the right length of pipes and had to work out how many 'end pieces' we would need (essentially the covers that go on the ends of the pipes to make them look a bit nicer). I didn't take any photos of us cutting the copper to show but I did watch this youtube video to see how it was done using the cutting tool that we had bought. One of my favourite parts of designing my stand was getting to have my new logo cut out of acrylic for the sign! It is such a nice way to see your logo and branding in a different light to just seeing it digitally on a computer a lot of time to actually have it in your hands to hold. I had it cut by Zoli at Exhibit Printing in Brighton, having worked with him previously I knew he was the man for the job. The only downside to my sign was having to glue all of the letters on by hand, making sure they were straight (and in the right order!) was a very stressful part of the process. But when it was completed and hung on my frame for the first time it was such a huge sigh of relief that it worked and that I LOVED how it looked! Decorating the frame was pretty easy, I hand taped all of the paper streamers with the loop hole and used some fake flowers that I bought from Home Sense (they have the most amazing range of fake flowers that look almost as beautiful as real ones) The flowers were tied with floristry wire and after giving the frame a few wobbles nothing was falling off so I considered that a success! At previous wedding fairs I had always displayed my templates on foam board, I had a design digitally printed on, with some wood glued over the width to create mini shelves. This had always worked really well and displayed my template designs nice enough. But I knew for MCWF I had to raise the bar, foam board just wasn't going to cut it! So I had the idea of using acrylic instead with it being a very popular and modern aesthetic in current wedding trends. Once again I wanted to make this board really different from all of the usual acrylic signs I had seen but also keeping with the modern style. I decided to use a circle shape instead and I painstakingly hand applied gold, silver and copper foil to make it extra. The two main builds of my stand design were done! I just had the printed items left to complete such as new business cards, price lists and quote sheets, all pretty easy items to create and all completed exactly a month before the show! So the weekend was finally here! And how typical that the weather was horrendous. The beast from the East was trying to stop the show but there was just too much determination from the team to stop it from happening. We left Brighton nice and early to ensure we had enough time, not having a car this meant we had to travel via train, and when we had all of my stand along with luggage for 3 days it was quite tricky getting on the underground with so much stuff! We arrived at the Truman Brewery and were fully submerged into the Most Curious chaos with suppliers setting up their stands and people running around. But the atmosphere in the room was electric, and considering it was a huge warehouse it was just filled with so much excitement. The press evening was due to begin at 4:30pm so I was nervous and eager to get my stand up as soon as I could. Normally it takes me no longer than an hour to set up my stand, but of course this time I had a lot more to prepare! Packed all of the items in the order that I would need to take them out - it sounds really particular but as the majority of my items are paper made things can get really messy very quickly when all of my items are out at the same time! I really enjoyed the set up process as it gave me a chance to see just how much the vision in my head of what I wanted it to look like had actually become a reality! I did actually cry when my stand was all set up as I was just so damn proud of myself for doing it - and I don't think people give themselves enough credit! Of course I wouldn't have been able to do it without Dan - he is the first person who is going to reap any reward that this little business gives us! It was quite a whirl wind at times, so many people and so much stationery chat! It really was the best and I felt my stand and presence at the show went even better than I had hoped. The weather hadn't stopped brides & grooms from attending and it was such a joy chatting to them all. I had bought along quote forms for potential clients to fill in, this is something I had done before and don't know why I hadn't done it from the very beginning! These kind of events can be quite overwhelming at times for couples to take in, so much to see and so much information being put in front of them. I felt very comfortable to let the couples ask questions and enquire via my form, it gave a lot more of a relaxed feel and less 'salesy' a definite tip I would recommend for anyone thinking of exhibiting. As a way to round this huge post up in a way that might be helpful I've listed below the 'top tips' for both applying & exhibiting, not just at MCWF but any fair that you feel is a little overwhelming - because trust me, you can do it! Don't be afraid to push yourself both in your stand design and your offering. I designed a whole new template range to launch at the show as this gave me a good selling point and something that was a unique offering to potential clients. Don't be scared - I almost didn't submit my application because I didn't have the confidence in myself, and what a shame that would have been! Just do it and worry about the finer details later. Because honestly, exhibiting at Most Curious has been one of the best things I have ever done for this business! There is a lot of news in the Internet World recently that people aren't reading that many blogs anymore - and to some extent I do agree. I find that I'm visiting blog sites in my down time much in the same way that I read magazines - to relax and switch off. Rather than using blogs as a source of information about a certain topic, or to look at work for inspiration. Because for these types of things we now have Instagram - a place where I share all of my wedding stationery updates and general day-to-day news. BUT I still do love a good post every now and then about what people have been up to, because one thing social media isn't very good at is letting us pour out as many words as we want - and sometimes you just need to write more than a couple of paragraphs on a post to get across how you actually feel. In February I released the first of two new template ranges, 'ink' - now I have to be honest this design was 100% pure indulgence to feed my current obsessions with pink and black visuals. 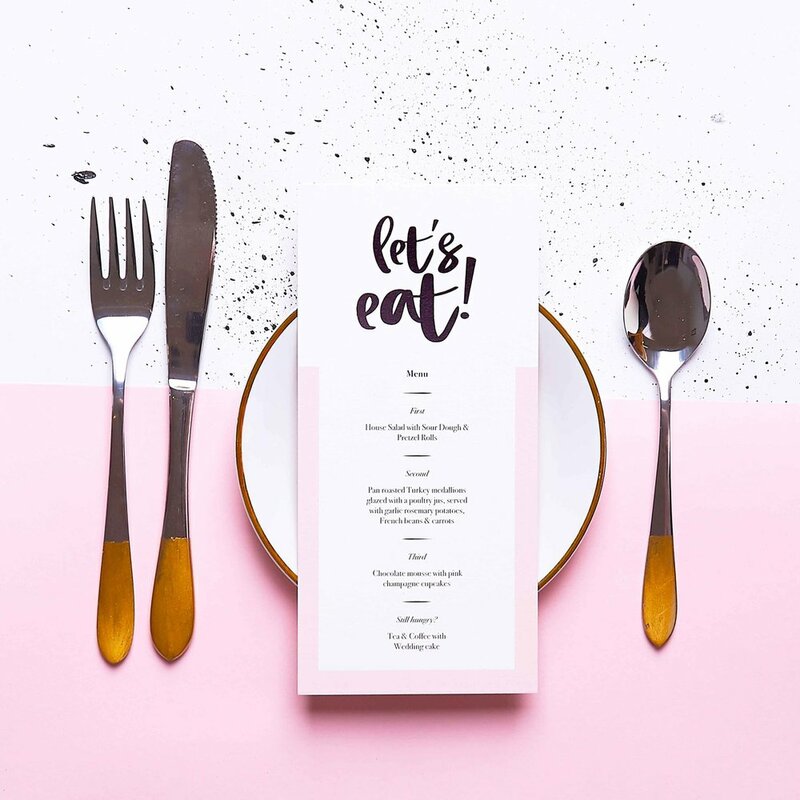 I love the simplicity of the invites with the white / pink split and I thought it would be really fun to dress up the menus and table numbers etc. as a way to bring out personality. I made it a goal this year to create a template that didn't include some kind of floral elements because to be fair I had pretty much over-done this and was getting slightly bored of drawing flowers. So this range was a way for me to express a different side that I hoped couples would indulge into as well. The second template was 'Rainforest' my first template range that included foiling, something that I had been asked about a lot. Due to how expensive this process can be some couples could simply not allow it within their budget - and to be fair I totally understand because I doubt I would have been able to afford it either! But finally the printer gods spoke down to us poorer and said you shall not go without beautiful shimmery goodness anymore! and hallelujah we said! As it meant I could now offer couples foiling that didn't break the whole wedding budget. I was really pleased with how this range came out and it was designed to suit any style / theme of wedding with the colours being easily adapted to suit all palettes. The first Wedding Fayre of the year for me and I was personally really excited about it due to the beautiful location. For those that are local or know Brighton well the Harbour Hotel has recently had a tremendous upgrade to be one of the only 5* hotels in Brighton. The rooms are stunning with that perfect sea view over-looking the pier. The spa is honestly one of the best I have ever seen and I cannot wait to take a day off and spend the entire afternoon in there. They are also currently building an infinity pool on the bloody roof! So I knew this location would be the perfect place to show off my new range of invites to all the lucky people that are going to be married or have their reception there. I spent some time making my own acrylic sign that I had laser cut with my logo. I LOVED making this and it sort of turned into an obsession with me painting lots of acrylic signs. The Fayre itself was unusually quiet... it was a gorgeous sunny day and the beach was rammed - something we all had to face as 'it was just one of those days where nobody wants to be inside a building!" I did meet some amazing local vendors though and I'd recommend having a look at Bettie Rose Flowers, her arranging and eye for colours is simply stunning. Being a part of the One Girl Band community in Brighton which is hosted/run/owned by the lovely Lola Hoad meant I had the opportunity to have some snaps of my face taken by the amazingly talented Emma Croman. This photo day was to raise funds for Awamu who are a charity working with women in the Kampala slums to achieve a better life for vulnerable children. So this meant I could help raise some money for an amazing cause whilst also having some pictures I could use that weren't taken by myself and didn't look terrible! It was my first time meeting Emma and I cannot recommend her enough to anybody who is in need of some editorial style imagery. Her work is simply gorgeous. 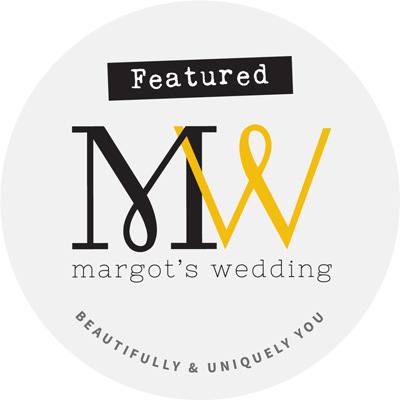 At the very beginning of the year I launched my very own Wedding Website product. These had obviously been starting to become very popular within the Wedding industry and with couples as they save a lot of time for both the wedding party and guests. I knew how important it would be to offer these alongside my stationery items as I want to express how my design experience doesn't just stop at paper. I also knew a lot of bigger companies can offer these websites at an extremely low price (some of them are free!) but with quality and design not on the agenda at all. Web design is actually more of a trade for me then anything else (Its what I actually do in my 'normal' 9-5 day job) so I knew I could offer something really great compared to these other companies. My main concern with these Wedding Websites would that they would prove to be SO popular that printed invitations would stop becoming a thing that people wanted - I mean if you can save some money within your wedding budget you would right? But since launching this back in January I have actually had more printed Invitation orders than website orders - and I am definitely pleased about that as printed materials just work so well for Weddings. They are personal, the perfect keep sake from the day and there is just something so romantic about receiving something in the post from an actual person that is not just another bill. I have enjoyed creating these sites though as it has meant a lot of couples tend to get both - a gorgeous printed invitation, with a wedding website to collect RSVP's. Because from what I've heard from couples is that getting your guests to RSVP is the hardest part of planning a Wedding! I'm definitely going to keep this section short and sweet because it can't be good to focus on the bad stuff. But I do think it is important to acknowledge it, even just for personal development and letting people know that not everything is perfect. One of the hardest things I have found since launching this little business is that Instagram can sometimes be a bit of a drag. It is my most used social platform to promote my wedding stationery and I've felt its been nothing but hard work ever since. I think I totally underestimated just how many people were creating wedding invitations and just how many accounts there were doing the same thing as me. The market is SO saturated that I've found it really hard to get my own voice heard over others. (Don't get me wrong everyone is so well deserved, there are so many amazing talented people out there!) But it definitely gets me down when I work SO hard and feel like things aren't paying off the way I thought they would. Not that I ever thought I would be rolling around in money but that Instagram users would find and interact with my account way easier then it appears. I did launch my account right at the time Instagram changed its algorithm, and I think others have felt this lack of interaction in their accounts too (at least I hope I'm not the only one!) I think what I'm getting at is I think I'm going to put less pressure on myself to make my Instagram account a success - because what actually is a successful Instagram account? I rarely find clients through the channel and I think this has proven that it doesn't deserve so much of my time then I give it. I should put my time and energy into advertising communications that actually ARE working for me and just use Instagram as a way to share stuff I find fun. Putting less pressure on it may even make it more enjoyable for me! Up until this point I had been very lucky with my clients - all super lovely, all giving great reviews and recommendations and all really happy with the work I was creating for them. This luck was definitely going to run out soon, I mean who gets this lucky with such lovely people! I have yet to experience a bride-zilla, I honestly don't think they exist. But I have experienced those kind of clients that are just never happy, even if I was to marry them myself and give them all the free print products in the World they would probably still find something to moan about. I put it all down to experience and always try to brush it off, but it does put a bit of a downer on my day, especially working for myself where this is no support or back-up. I am no stranger to the odd spelling mistake being printed on a clients document, it happened so much in my old job that they probably became very close to firing me at one point ha! And even though I have not made a single spelling or error on any of my clients wedding stationery items yet (I say yet as I touch all the wooden things around me) there have been some printer errors that really screw up your day. More often then I would like my clients turn-around times can sometimes be very tight - I get panicked phone calls from brides who need 100 order of services printed within 5 days for their wedding this Saturday. Usually it can be done, but when these items arrive folded or stapled the wrong way the poo really does hit the fan. Luckily it was all re-printed with no hassles but just meant they were delivered on the actual day of the Wedding! Stress levels for both myself and the Bride were too high to even comment and is not something we both wish to ever repeat ha! These things happen and can only be eliminated with experience, something I'm learning all the time. Once again I've managed to write FAR too much so here is a little rounder of my favourite bespoke orders from this year to finish off. I cannot thank these clients enough for letting me do my thing and trust me with their wedding print. 16 page folded passport booklet for Julia & Chris's French destination wedding! Katie & Joe's adaptation of my Vintage Floral template - I love the colour way we went with! Another adaptation of my Vintage Floral template for Emma & James - love the succulents we added. I want to keep this short and sweet - mainly because I know there are so many yearly reviews that are published on blogs and social media that will be far better written and more entertaining than anything I can ever write, but I wanted to just sit down and think about all that I have achieved since launching this business in April this year. Has it been easy? Nope. Has it been stressful? Yup. Did I ever worry that I was never going to sell a single invitation and people wouldn't like my designs and they would just tell me to stop making things because I'm wasting my time and it's getting boring now? Yes, on a daily basis. All of these things are true and luckily these were my own worries and not those of my clients or friends. It has most defiantly been hard to launch a business along side my full time design job, whilst also putting time and effort into my relationships with friends, create a happy home for me and my partner, make time to travel down to see all of my family in Devon at least twice in the year (which still never feels like enough) and also put time and attention into my mental health which always seems to take a back seat alongside everything else. It's so easy for me to come to the end of this year and feel like I haven't done enough, because that is how I always feel no matter how much I actually achieve. So instead of making this into a blog post about all of the things I haven't done or wished I could have done better, I'm going to simply list all of the things that I have done, as I think it will make me not only pleasantly surprised, but also pretty smug. And you know what, I think it's good to not only be proud of yourself, but also pat yourself on the back as it's so easy to be over shadowded with doubt. In April I pushed that terrifying but also exciting 'Go Live' button on this website. I had been planning, designing, photographing, editing, writing, scribbling, doubting and worrying for nine months and the time had finally come. There was so much relief when I finally put it all out there, not only because it meant people could finally see what had kept me from socialising and being a normal human being for 9 months but also because it meant I could finally stop worrying about it if was enough. Because it was live, and there wasn't much more I could do at that point. I can honestly say I never worked harder at anything in my life. I had done a lot of wedding stationery orders at this point, but this was the first time someone had found me through the power of Google, visited my website and it converted into a sale. Any business owner will tell you how hard it can be to reach your perfect customer without word of mouth or recommendations or simply begging your friends and family to pass on your details with promises of discounts if their friend of a friend who might be getting married next year accepts. This was someone completely new! Someone who had no invested interest to ask me to design something that was going to be part of the biggest day of their life but simply because they loved what they saw. I cannot tell you how happy I was to read that email and hear that they could not wait to see what I came up with for them. Because for me, that was the point that I really felt like my hard work was starting to pay off. In this industry it is pretty common to do a couple, at least one wedding fayre a year as it is a great opportunity to meet potential clients. Even though I am not engaged to be married I have actually attended a few for market research (once by myself which was actually pretty depressing and once with my partner who came along and instantly regretted it when vendors kept asking us when our big day was) I had it in my head that I was never going to do one because I actually hated the whole thing. Whilst walking around we were bombarded with so many flyers, special offers, free tastings, free demos and just people shouting over other vendors to be heard louder than the rest. But it actually gave me a pretty good idea of what not to do. This turned out to be simply giving the couple time and space to look at my stall without jumping down their throats, or thrusting a business card into their hand whilst shouting 'SPECIAL OFFER' in their face. My day was so successful that I had ran out of pretty much everything and gained 3 new clients. I was pretty chuffed with that. Being able to sell my invitations on Not On The High Street was always one of my main business goals - I knew that I could compete with the Wedding Stationery vendors on their site and I felt like my products would be well received. I booked myself into one of their 'Pitch Days' which meant I would pitch my products to one of their experts to get feedback and ultimately one of their shiny golden tickets which meant I could be a partner and start selling my products with them. I can honestly say I have never been so nervous about a meeting in my life. This was the first time I was showing my products and designs to not only an industry expert but also the main retail outlet in the bloody country. Did I mumble my words? Yes. Did I make mistakes on my figures and projections? Yes. Was I horribly shaking and struggling to get out any form of sentence that made sense? All of the yes!! Why was I being so hard to control and make sense? Because I cared so much about my designs that I couldn't get this across properly without looking like some kind of lunatic. Luckily the lady I was speaking with was so understanding and above the horrible delivery she did want my designs for the site!! It was not all perfect and I would have to create more designs to be given the golden ticket but I was headed in the right direction. This was such a huge turning point for me that I honestly felt so incredibly proud of myself. Up until this point my orders had been coming in at a nice pace and at a decent size. Nothing was making me sweat and I was sending things off to print in a nice calm and delicate fashion. When I received an email from a new customer who had asked for the full works it was a great feeling - invitations, save the dates, table numbers, table plans, place name cards, RSVP cards, thank you cards, belly bands the lot! This was the kind of order that would really test my system and ability to juggle multiple things at once. Recieving feedback from my clients with how happy they are with their wedding stationery is honestly the reason why I work so hard and this big order gave me the confidence to know that I can handle it all! I did say this was going to be short and sweet but writing all this down has been such a great way to notice that there is something to celebrate in all that you do. There are of course still things on my to-do list from this year and still things that need to be done and made even better for next year, but I can say with 2016 coming to a close I have done everything I possibly can to make my business the best I can possibly make it. I cannot thank all of my lovely clients this year for being so great to work with and for making my first six months such a joy. I cannot wait for 2017 to launch all of the exciting and new products and to hopefully learn and celebrate more. 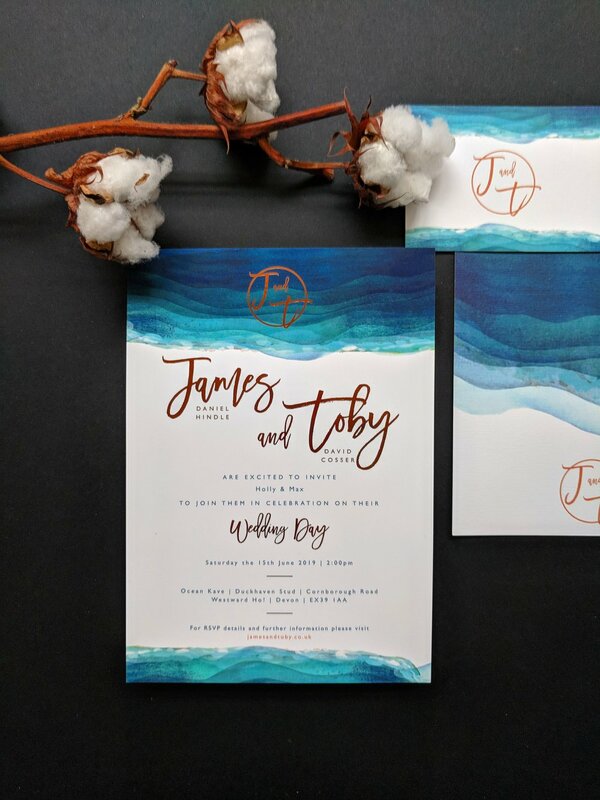 One of the most common things that I get asked when designing Wedding stationery is when to start planning the process of having them designed and printed, and when to actually start sending them out. There is of course no right or wrong, some people are super prepared and ahead of the game, and others may leave it just a little bit close to the wire. Below I have listed my suggestions as to when is a good time to start planning and getting your invitations out to your guests. 12 months before your Wedding Day may seem like it's ages away, but from experience of designing Wedding stationery it's scary how fast it goes. Around this time is a good point to be researching designers, looking at inspiration for your invitations, thinking about your budget, costs of printing and whether pre-designed or bespoke options are best for you. I will always give advice on these areas and make sure what you choose is right for you. Having a designer at hand will help ease the stress of having to make decisions that you are not sure about. Once you have made contact with your designer, talked about ideas and budget, your first priority should be your Save the Dates. Not everybody sends these, and technically you don't have to. But from my experience I believe they help ease the stress of having to get your invitations out super quick to make sure your guests aren't planning or booking any holidays on the day your getting married. A good 10 months before your date is a good time to let guests know not to plan anything other than celebrating your big day with you. Having been made aware of the date of your Wedding, 6-7 months is a good time to let your guests know further information about your big day such as location and time. If you will be having guests arrive from different locations, hotels and transport will need to be booked prior to ensure everybody has arranged what they need. By sending out your invitations along with your RSVP cards at this stage makes it less stressful for both you and your guests. With less than four months until your Wedding Day you need to start thinking about any of the on the day items that need to be designed and printed. On the day items are printed materials such as, Order of Service booklet, Table Names, Table Plan, Place Name Cards etc.. anything that your guests will need to help them on your Wedding Day to make it as stress free as possible. These items can take some time to plan, due to them being dependent on information from caterers, vicar or priest who will be conducting your ceremony and the number of guests that will be attending. It's time to start requesting for your RSVP cards to be returned to you from your guests. Having a deadline date stated on the cards when you send them out will remind your guests to send them back in plenty of time. Some guests can of course forget and you may have to spend some time chasing responses to get final numbers for your venue and caterers. 2 months prior to your Wedding Day is also a good time to send any of your on the day items to print to make sure they are with you in plenty of time. At this stage you should be in a position to just be checking everything and make any last amendments or changes to your items. Giving yourself 4 weeks to alter any mistakes that have been printed, (it's rare that something can slip through the net but it does happen), will make it so much less stressful for you, and with only a few weeks to go any avoided stress I'm sure will be welcome! LAUNCHING - How did I get here? Hello! 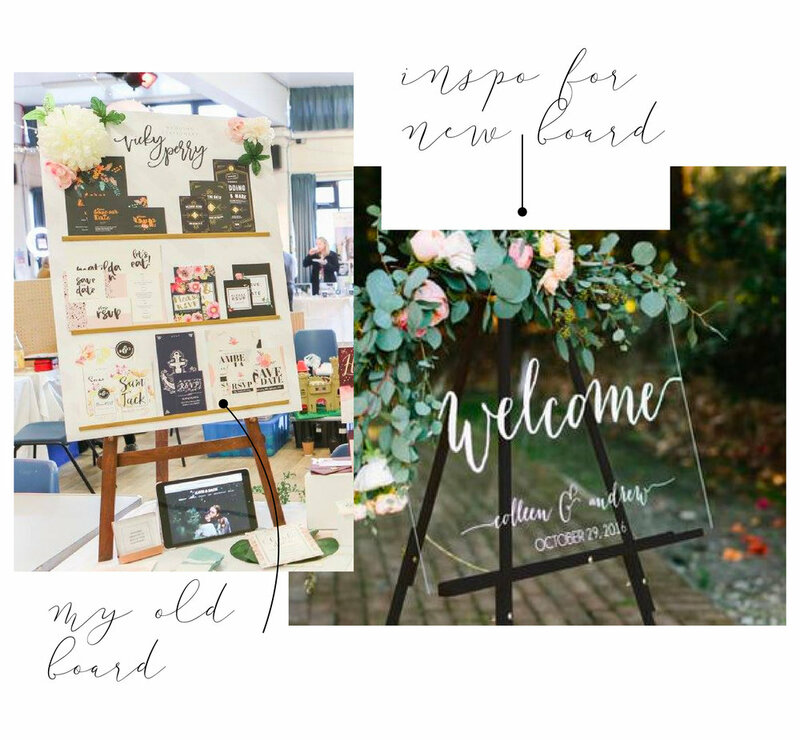 I wanted to share with you all a breakdown of each and every step as to how I got my Wedding stationery business up and running. I thought this process would be a great insight into how I work creatively and also to understand why I set this up in the first place! I also thought it may be interesting or useful for anyone else who is thinking of starting up a small business. So! The first step for me was to understand why. Why in the bloody hell would I want to set up a small business alongside my full time job and regular freelance work? Well....I just love designing Wedding stationery! It was the one design job in a pile of un-inspiring website designs that I looked forward to the most, and I figured the only way to be able to do more of it was to let the good people know all about me and my designs. A strong portfolio of work and a well designed website was the key for me. At this stage I only had two stationery designs under my belt and I knew I would need more to launch a full site. I could have waited for more orders to come in but I was quite impatient! Once I have an idea in my head of what I want to do I simply just can't sit on it until it's done (A trait that is sometimes more of a curse than a blessing) SO I simply started to create designs that could be used as templates. This way I got to showcase my design skills as a Wedding stationer as well as filling out my portfolio - excellent. How many templates would I need? What will they look like? How am I going to print them? How much should I charge? I had sooo many questions! And to be honest it was all a bit overwhelming. But I figured if I was going to do this then I needed to start with what I knew best. Making a list. I love lists, everything about them, from writing them to ticking off the tasks one by one. I planned out my entire process, from the invitations themselves, to my branding, website, promotion and advertising. Looking at the lists I realised I had A LOT to do. But if I took it step by step than it should be achievable within a few months. Even for the impatient me a few months seemed like a good and realistic time frame. In order to get my huge list of tasks into some kind of order I prioritised what I would need last and worked backwards from there. Luckily for me the bulk of the planning was in the designing which of course is my favourite part of all - and the whole reason why I decided to do this in the first place! With my template designs I knew I wanted to have a real variety of styles and designs in order to target a wider market and also to show my different skills as a designer. There are common themes within Wedding's that I knew I could utilise and base some of my ideas around. For example, Nautical and Vintage Weddings were hugely popular in 2015. It was great for me to have some designs that were pretty certain, and others that only started to come to life once I started playing around with them on the computer. With each template I needed to have a main invite, an evening invite, RSVP and Save the Date. With four designs within each set I set myself a target of completing at least two sets a week. This enabled me to finish all of my templates within four weeks. I tried my absolute hardest to record the development and process of each template design to write in this post but it is just one of those things that I just sit down and do - I can't really explain it how or why it just happens! Now. Out of all of the stages I thought this was going to be the easiest and most straight forward. All I needed to do was send my templates to the printers, get them back and photograph them with some nice lighting and jobs a good'n. Looking back I was most definitely being optimistic! For some reason the cost of having four different sets of artwork printed within each template design didn't cross my mind as something that I would need a lot of money for. But I did. Without panicking too much I just realised that I would have to send my templates to the printers in different stages. With them being sent off in packs of 2-3 at a time this actually made the process of photographing them a bit easier to manage as it meant we could do a couple sets at a time. I was very lucky and still feel eternally grateful for having my friend Mikey create my photography for me using his skills and equipment at Capture Factory studio in Brighton (check them out here for any product photography you many need, they have the BEST equipment.) I really loved and enjoyed the whole process of photographing my invitations, from planning what props and coloured backgrounds to have, to spending hours at a time playing around with the layouts and taking the photos themselves. The studio is a nice place to be (felt very calming) and made even better when Purdy and Ozzy the pugs were around! One of my favourite parts of this stage was prepping the props I wanted to use in the photos. With each template being a different style it was important to me for the props to enhance the templates. Some of them were easy to get hold of and were things I had lying around the house (flowers, string, envelopes etc.) Others I had to get a bit more creative! My Art Deco & Vintage Floral templates were the perfect excuse for me to spray paint everything gold, something that I had wanted to do for ages! Each set took a good two hours to photograph. With eight templates in total we racked up over 14 hours in the studio in the evenings and weekends - way more than I thought it was going to take! But the quality and professionalism of the images that I now have would never match anything that I did myself at home. Another part of the photography process that I hadn't planned into my schedule was editing. Not being from the photography World I didn't realise how long it can take - something now of course that makes total sense! With over 100 photos to edit I knew it would be worth the wait. Seeing all of my template designs together photographed and edited for the first time was a real treat! It was one of those times where I realised just how far my ideas had come from being simple scribbles on my notebook. Even now I never get over that feeling of seeing something I've designed out in the real World or having the physical item in my hand to hold. Now that this step was complete I could get cracking with the branding and website design - The step which I had been dying to get stuck into since the beginning. I'm one of those designers that is never happy with their own branding. I've had my personal portfolio website for five years and I am constantly changing the design and layout of my site to fit in with what I'm currently loving design wise. I try not to get sucked in to trends but sometimes they are just too nice not to! At the moment I am loving everything blush pink and gold (I just had some gold business cards made up and they are amazing!) So in order for me to be happy with this Wedding stationery branding I knew I had to keep it relatively neutral so it can be kept for a long time. This is always a good way to go as it means I can dress it up with other design elements such as colour, patterns and fonts that can be updated every once in a while to keep it looking current. Below shows my brand guidelines which is a necessity for any designer to refer back to when they are designing something for their brand or business. With my website design I knew I wanted to use Squarespace - I've been using them for a couple years now and I love them! The templates are beautiful, the platform is SO easy to use and they have the most convenient and helpful support I've ever used. (I promise this post is not sponsored by them I just love using them that much!) The first step for me was to decide on a template - I searched for a design that had nice big product images, social integration and clear product descriptors. My only hang up was not being able to use a E-Commerce platform with the add to cart functionality turned off. As each of my products are bespoke to each customer I couldn't simply have an add to cart feature within my site - but I still wanted it to function like a regular E-Commerce site. I came across this beautiful template but after doing some research and speaking to one of the Squarespace advisors I was told I would still have to pay for the full E-Commerce template despite not using the checkout features. BUT I could utilise a brochure template with the content block features within their software. After a good week of playing around with the designs I settled on the template called Five. I loved the full banner image on the home page with the changeable content blocks underneath. My favourite part of designing the whole site was designing the buttons and additional feature information blocks to be used on products that had more elements to them. This is what makes a regular template more bespoke to you and your business and you can get really playful with how they look. Referring back to my brand guidelines at all times ensured it all tied together. Writing the content for the website was another thing that I hadn't thought would be that hard - oh but it was! What to call each design? What to say about it? How can I get across how I feel about it without sounding too much like a sales website? I've obviously been writing stuff for years but getting the tone of voice is really hard and something that I'm still working on. I feel this part of my branding is something that will evolve and adapt over time so I'm trying not to beat myself up about it. With all of the content and images in I needed to set up social media channels and start uploading posts so it didn't look lonely and bare when the site went live. There are so many theories to social media, what time to post, what to post about, what companies you should like and follow, what you should hash tag, how many times you should post a week... every one has their own way of working out whats best for them - for me this was another thing that I didn't want to get too caught up with worrying about, because I know its very easy too. At first I was confused how one post would get more interaction than another when I felt this post was better, or how I would loose followers for what seemed no reason?! I soon became aware of Robots within Instagram and just thought you know what? Who cares! Sometimes this attitude is not appropriate, but when it comes to worrying over how many likes one of my posts gets I think this is OK. So the website is populated, the social media channels are up and running and I have set up my emails ready and waiting. All that was left was to actually put the bloody thing live! This was it! Finally! I was about to put my website live and show my designs to the Internet World! When I started planning this whole site I thought about some cool Go Live event or making a video - but to be totally honest at this stageI knew nobody was really invested. So no better way to share the good news then on good old social media. Getting the templates printed - I should have researched how much it was going to cost me to print a minimum of 10 for each set - this way I could have started to save a lot sooner and ultimately had them all printed on the first day of photographing. Photographing the templates - to be fair I don't think we could have done this any quicker - with it being outside of office hours we had to ensure we were both free and also not taking up too much free time (nobody wants to go back to work Monday morning feeling like they haven't had any time off) But I should have estimated this better into my time frame. Designing the website - I started this as early as I could, but having to wait so long for each template to be printed meant I couldn't populate the site as soon as I would have liked. Leaving an early stage to the last minute has a knock on effect on the rest of my steps which I realised when it was too late! Posting on social media - I only had one post up before the site went live - I REALLY wish I started posting teaser images or just general updates on the photography sessions and website as I was going along - this would have meant more interaction on my channels leading up to the go live date. Looking at this list I see I shouldn't be too hard on myself, I am the first to admit this whole business thing is new to me and I never considered or saw myself as a business woman. I'm a designer first and foremost so to have to think about profit, revenue, tax (Who knew tax for small businesses was such a pain in the arse?!) and general business stuff is all totally new to me and I'm learning as I go - despite some of it not being as smooth as it could have been I am so totally over the moon with my website and designs, and more importantly I just bloody LOVE designing it all! I've had such great feedback so far and landed a few new bespoke design jobs which would not have come about without this site - so far so good! Hooray! After nine plans of planning, hard work and lots of designing I am so pleased to finally put this website live. I guess I have my two friends Jess & Harri to thank for this whole journey as they allowed for me to design their stationery for their big day which then lead for me to start up this whole venture - so thanks guys! I have created nine template designs that I hope can be enjoyed by couples with varying tastes in design and most importantly can be afforded by absolutely everyone! I am really proud of all of the designs and I can't wait to get the designs out there and attend some Wedding fairs to meet some of you lovely couples! I'm currently planning a blog post on the whole process of how I set this up, starting from the initial idea right through to the go live of the site as I really want to share that process and journey with you - but for now I just wanted to say thank you to everyone who has taken an interest so far and a massive thank you to my friend Mikey Firbank at Capture Factory in Brighton for giving up so much of his free time to create my amazing photography. I honestly can't wait to see how this site develops and grows in the future - its all very exciting! Template & Bespoke Wedding Stationery based in Brighton & Hove. I create beautiful stationery including invitations, RSVP cards, Save the Date cards, Menu's, table plans and anything else you might need for your big day.